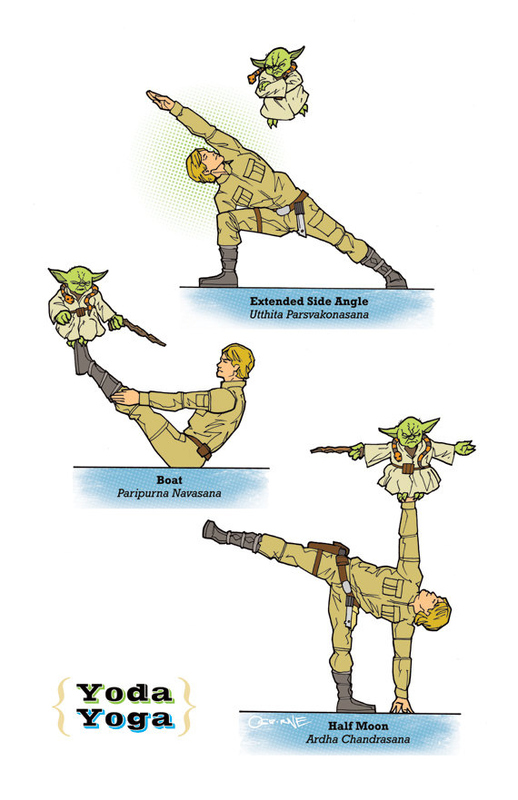 Yoga is still as popular today as it was when it first arrived to the mainstream. There’s loads of different types, you’ve got your regular yoga, your yoga in a room that’s hotter than the surface of the sun (apparently it helps somehow), outside yoga, pilates (is that even a type of yoga? ), and so on. 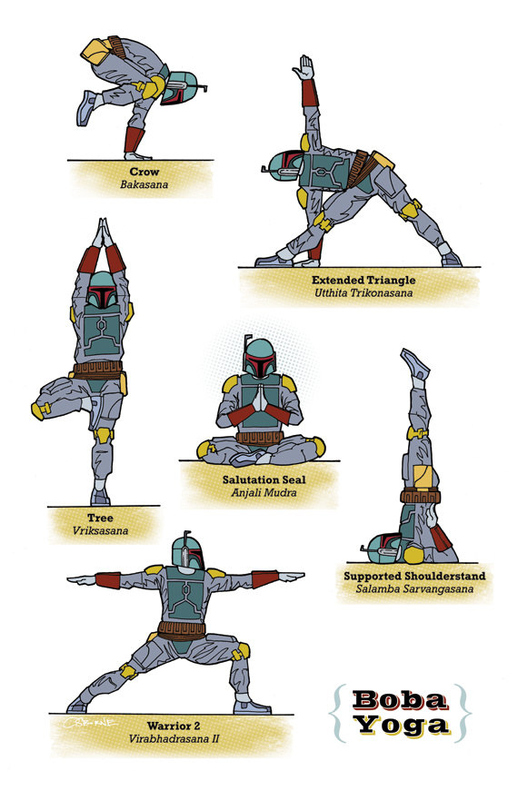 But now, you’ve got the perfect yoga for us geeks. 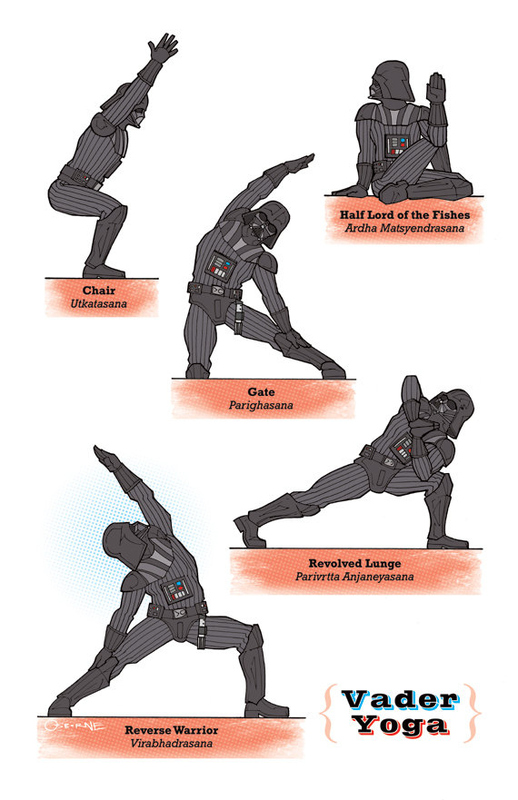 Star Wars Yoga. 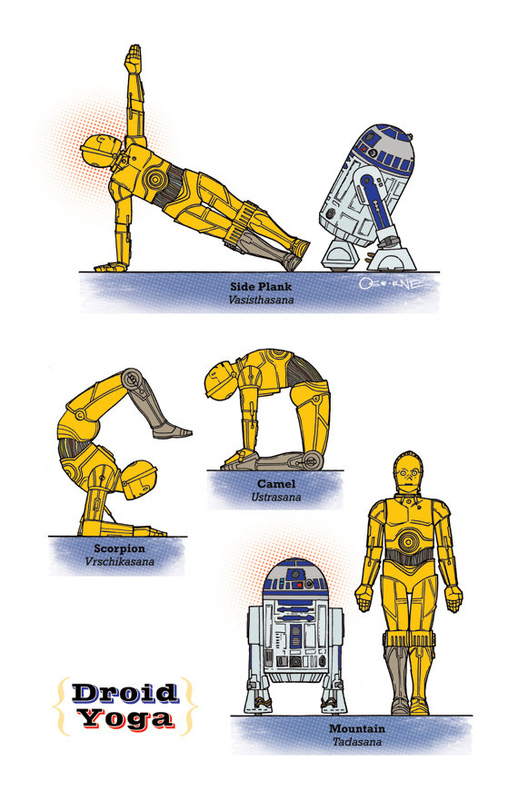 Let Vader, Leia, some loveable droids and more help get you in shape and look funny doing it.